The Sedona International Film Festival is proud to present an encore return of the award-winning new documentary “Heal” on Tuesday, Nov. 21 at 4 and 7 p.m. at the Mary D. Fisher Theatre. “Heal” premiered at the recent Illuminate Film Festival in June to rave reviews. This encore return is by popular demand. Dr. Jeffrey Thompson, who is featured in the film, will be in Sedona to host a Q&A discussion after both screenings of “Heal”. Sheron Foster will moderate the discussion. Written and directed by Kelly Noonan Gores and produced by Adam Schomer, “Heal” takes us on a scientific and spiritual journey where we discover that our thoughts, beliefs, and emotions have a huge impact on our health and ability to heal. The latest science reveals that we are not victims of unchangeable genes, nor should we buy into a scary prognosis. Through interviews with such luminaries as Deepak Chopra, Bruce Lipton, Marianne Williamson, Michael Beckwith, Gregg Braden, and Anita Moorjani, the film highlights the often-surprising relationship between spirituality and science and how we have more control over our health than we have been taught to believe. This film will empower you with a new understanding of the miraculous nature of the human body and the extraordinary healer within us all. “Heal” not only taps into the brilliant minds of leading scientists and spiritual teachers, but follows two people on actual high stakes healing journeys. Healing can be extremely complex and deeply personal, but it can also happen spontaneously in a moment. Through these inspiring and emotional stories we find out what works, what doesn't, and why. 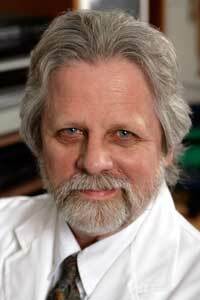 Dr. Jeffrey Thompson, DC, BFA is Founder/Director of the Center for Neuroacoustic Research in Carlsbad, CA. He is a physician/musician, composer, scientist, researcher, educator, author and visionary. Although interests, natural talents and his scientific approach to holistic sound healing created a paradigm shift in his life and in the field of sound, he is certified in physiotherapy; chiropractic radiography; Craniopathy; sacral-occipital work; blood analysis and nutritional counseling, Chinese meridian work, bio-magnetic and color therapies. He is world-renown for his clinically proven, mind/body harmonious brainwave entrainment programs for sleep enhancement; physical, mental and emotional healing; creativity and peak performance; meditation and personal growth through the scientific application of sound. Dr. Thompson has been a pioneer in the field of sound since the early 1980's and continues to lead with his auditory, kinesthetic and visual therapeutic products and work, and especially with his Game-Changer: his Bio-Tuning modality. All is suitable for all ages and all concerns. In his custom work with individuals, couples, families and groups, the Bio-Tuning scientifically identifies the Fundamental Frequency of the participant. It is then later enhanced and empowered with the harmonics and overtones of the participant’s voice. Each custom program, then, becomes a Sound-Print™ of that individual or group. Non-invasive, gentle yet powerful, the custom sound programs each lead one to a different brainwave state. Each enhances the participant’s ability to function more within a homeostatic zone where physical, emotional, mental and spiritual health can be re-gained or achieved. The Bio-Tuning changes lives and saves lives. It is truly beautiful — and you get a small glimpse in the documentary film “Heal”. Join us for this thought-provoking and inspiring film and discussion with Dr. Jeffrey Thompson after both shows.